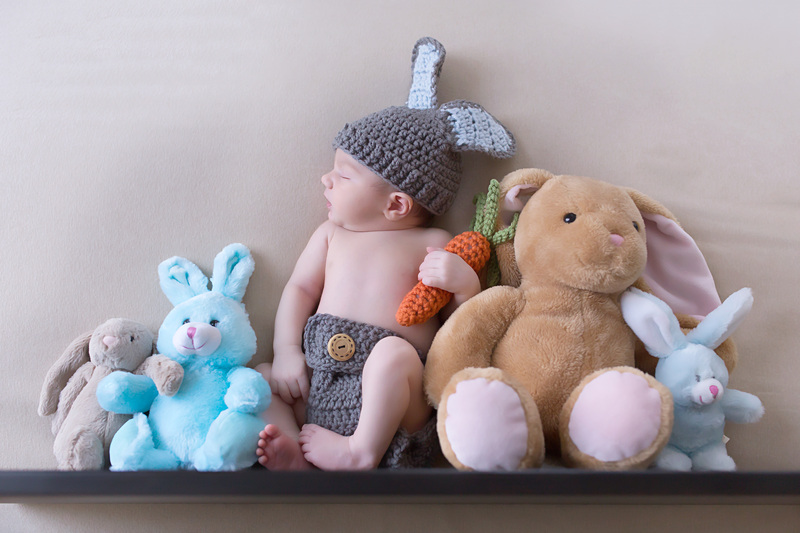 There are so many options when it comes to newborn photography. If you are interested in receiving my free guide, “5 Things You Need To Know Before Hiring a Newborn Photographer,” then you can sign up for my email newsletter, and the PDF will be emailed to you. Scroll to the bottom of my homepage to sign up. I would like to share a testimonial below from one of my newborn clients who described her experience working with Erin Swann Photography. I hope this helps you decide if a custom photography experience from Erin Swann Photography is what you are looking for. We had an amazing experience with Erin Swann Photography from start to finish! 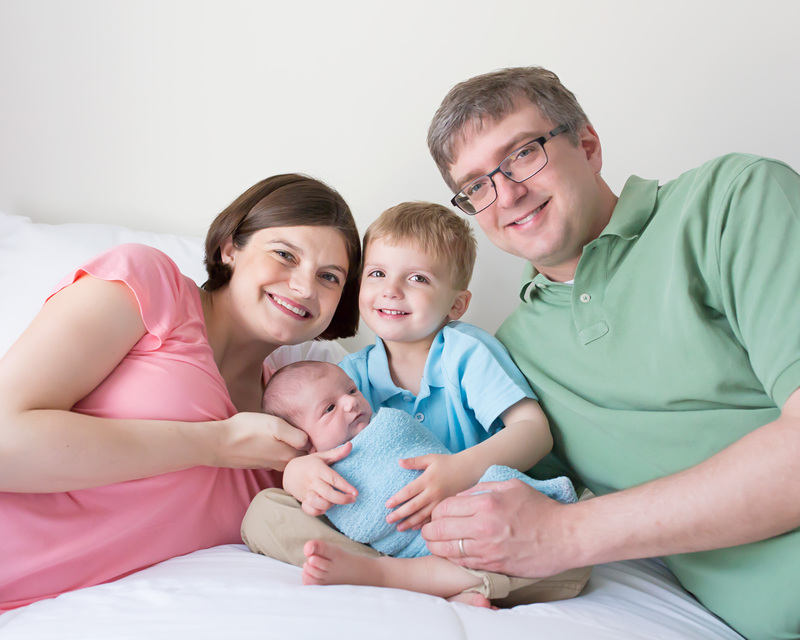 Erin and I met several weeks before my son Christian’s birth to discuss my vision for his newborn photographs. Erin struck the perfect balance between offering expert advice and allowing me the freedom to make decisions. I was impressed that Erin took the time to sit down and meet with me prior to our session, and her tips certainly helped me feel prepared on the day of the shoot. When Christian was eight days old, we arrived at Erin’s studio with my husband and his three-year-old brother Henry in tow. The studio was set up perfectly: box spring and mattress for crisp family photos, a bookshelf filled with all sorts of wraps and accessories, a portable heater, sound machine, and changing table with lots of supplies. I had run around frazzled all morning and had forgotten to eat breakfast, but Erin had thought of everything: bottled water and snacks awaited us. We had decided to have our son Henry participate in family and sibling photographs prior to my husband taking him to preschool. Henry is a very spirited child, and this made things a bit challenging. He didn’t want to change from his Ninja Turtles shirt into his blue polo. He wanted to do flips on the bed. He wanted to choose his own poses with his brother, no matter how ridiculous. Erin’s patience boggled my mind! I was ready to just give up on having Henry involved, but she worked with him and ensured that we got some really precious photos of our two boys. Once my husband took Henry to preschool, I thought things would be smooth sailing. Naturally, that’s when Christian became ornery. He was fussy, and he wouldn’t stay asleep. After Erin positioned his naked body in my arms, he peed everywhere, and the proceeded to poop on me four separate times! I was your typical hormonal, exhausted mom of a newborn, and I desperately wanted things to go well. I was in tears by this point, but Erin was so gracious and so unflappable that I felt comfortable and knew that we would end up with some beautiful images no matter how long it took. And we certainly did! When the images were ready, Erin invited us to her home, where she showed us a gorgeous slideshow of our images (naturally, I cried). We were absolutely blown away by the quality of the photography. 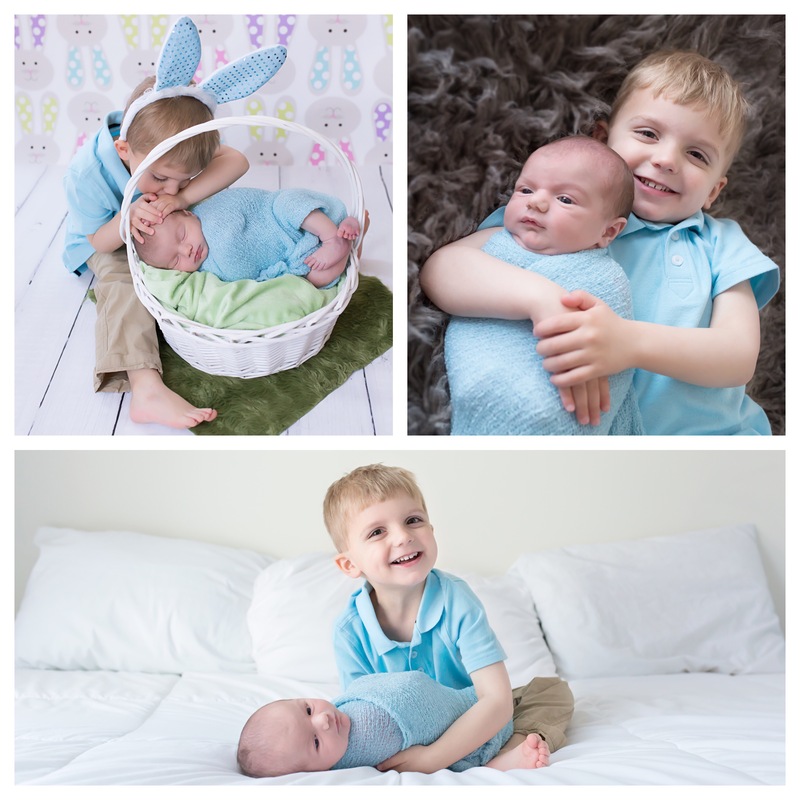 Erin’s talent shone through every single image, and it was obvious that she worked incredibly hard (especially given how difficult our boys made the photo shoot) to preserve our priceless memories. She unhurriedly took us through all of our investment options and answered all of our questions as we made choices about our album, canvas print, and gift prints. We selected a package with a mobile album app, which she showed us how to use and was definitely a cool component that I had not heard of before! Erin made the experience extra special by serving a delightful arrangement of chocolates, chocolate mousse, and fruit kabobs during the meeting. Just one week later, our prints, album, and canvas were ready, and she delivered them to our home. It was a pleasure looking through everything with her. It was obvious that to Erin, newborn photography is not just a business but also a way to bring joy to her clients. Before she left, Erin presented us with a heartfelt thank you note and some packets to help us relax as we navigated life with our new addition! This final touch of class definitely symbolized our entire experience with Erin Swann Photography. Ready to Book a Custom Photography Session? If you are interested in scheduling a custom photography session, or if you want to learn more, give me a call at 240-490-9522, email me at erin@erinswannphotography.com, or fill out the contact form on the contact page of my website. I look forward to hearing from you!